Not much is known about the details of Jones’s early life. Born in upstate New York in 1835, she grew up in a small, rural town. After her graduation from the local school, Jones took up a career as a teacher at age 15. While working as an educator, she began writing poetry, and many of her poems were published in magazines or in collections. Jones gave up teaching and focused on her writing when tuberculosis weakened her health. In search of cures for her illness, Jones moved often and tried her hand at various occupations throughout her life. One question that preoccupied Jones in 1872 was how to safely preserve food. She went on to devise a process in which it was not necessary to first cook the food. This had been a major drawback in conventional methods. Certain foods became tasteless, and things like fruit were better fresh. Her method avoided heating the food itself. The process involved placing the food in a glass jar and using a system of valves that pulled the air out of the container. Once the air had been evacuated, hot water was injected and the jar sealed. Jones applied for and received nine patents for this process. To promote her techniques, she formed the U.S. Woman’s Canning and Preserving Company in 1890. Beginning with puddings, they expanded production to include canned fruits and lunch meats. Nearly all of the company officers, stockholders, and employees were women. Although she was forced out of management after several years, the company continued until 1923. Jones is credited with another, unrelated patent during the 1880s. At the time she was living near the Pennsylvania oil fields. The workers could not safely use the liquid fuel source they were extracting from the ground. She developed a safety valve that allowed workers to control the amount of oil being released into a liquid fuel burner. This solution caught the attention of the Navy, which decided to use it on their coal­ powered vessels. Jones received an additional three patents in the field of steam engineering. 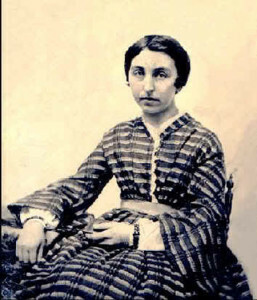 Never very successful in any of her business ventures and receiving little recompense for her inventions, Jones was dependent for much of her life on her family. She continued to write throughout her life and published an autobiography a few years before her death in 1914. With unreliable refrigeration and few methods of safely storing foods, Jones’s method of vacuum canning provided a process by which companies and individuals could preserve many types of food. Her innovation helped to spawn the development of the canning industry and changed the way people ate. Jones did not receive much credit for her inventions during her lifetime. While her canning process was eventually used by several different companies, she had already sold her interest in the patents to a meat­packing firm. A supporter of the feminist movement, her female ­run business was unique in its time. In many areas of her life, Jones sought to help others but her lack of money, few business skills, and poor health interfered with the development of her ideas. Through her vacuum canning process Jones did find a way to make an enduring contribution. As with many other inventions, the process lasts much longer than the name of the inventor. The availability of fresh­ tasting food that required no refrigeration impacted everyone. While her process was eventually refined decades later, Jones provided the nation with a simple, safe source of preserved food.